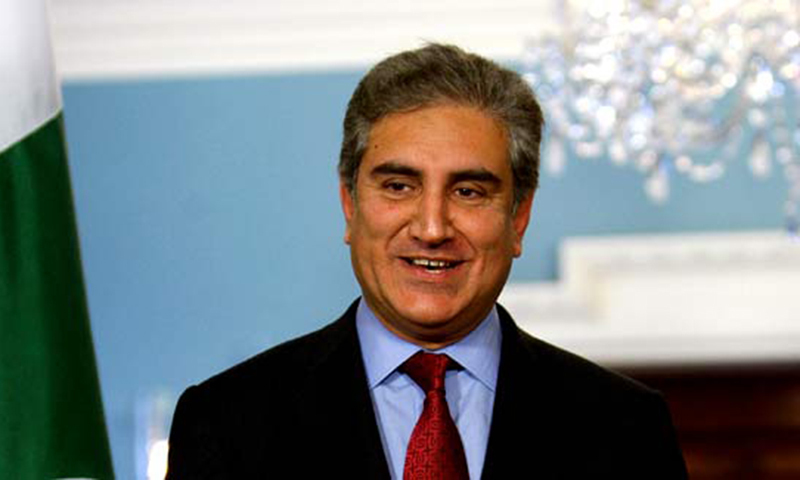 ISLAMABAD: Pakistan Tehreek-e-Insaf leader Shah Mehmood Qureshi said on Friday that if Prime Minister Shahid Khaqan Abbasi has reservations over the election of the Senate chairman then he should challenge it, otherwise he should refrain from criticism. Addressing a gathering, he asked the prime minister to retract his statements regarding Sadiq Sanjrani, in which Abbasi said that the newly-elected Senate chairman holds no respect as votes in his favour were bought. Qureshi said that the government needs to scrutinise its claim of ending loadshedding in the country as it still persists. He said that the time for the National Reconciliation Ordinance was gone as it neither has a place in the law nor in the constitution. On Thursday, Balochistan Chief Minister Abdul Qudoos Bizenjo had threatened to lead a protest march towards the capital city upon Abbasi’s failure to retract his earlier statement about the recent Senate elections.